A) What role does the past play in “A Long Day’s Journey into Night”? Is it treated similarly in “A Streetcar Named Desire”? What role does alcohol and drug abuse play in this “A Long Day’s Journey into Night”? O’Neill use the past to reflect on the current and depict changes and possibilities of rising challenges in the future. The author develops the themes of the text related to the events unfolding in the family. A majority of the current events are affected by the past making the past a critical, pivotal point in the development of the story. The past defines the present in this story such as the addiction of the mother to morphine. It correlates well as Edmund in the play was born in a hotel where the mother was first introduced to morphine. Comparing the story with the street car named desire, there are remarkable points of concern that are similar. Events unfold in hotel rooms, and the authors use closely related characters and they revolve around family drama. Alcohol and drug abuse have been utilized by the author to depict the challenges facing a family and the community as well. For example, the character James Tyrone drunk himself to death. He is painted as having introduced his brother to vices that draw the conclusion that emulating drunkards is not a good way of parenting. On the other hand, drug abuse has been presented as the mother abuses the use of morphine. The author draws this character as finding solace and an escape route through the misuse of drugs. As Edmund is painted as the black sheep in the family, the author uses vivid description in the play to show how drugs and alcohol abuse can ruin a family and individuals. It becomes hard to determine whether Edmund acquired his disease due to drinking or inheritance. D) Should “A Long Day’s Journey into Night” be considered an example of Naturalism? Why or why not? Naturalism is an indication of the reality of events, life occasion and people. The social conditions and inevitable natural and heredity factors that shape human character are engulfed in naturalism. An evaluation of the play indicates it’s a good example of naturalism. One, right from the beginning the play unfolds with family drama and nightmares. The challenges facing Mary and her morphine addiction do not change despite her treatment. The change is short lived as she goes back into being an addict. In some instances, she opts to sleep alone to evade the constant snoring of her husband. She is a woman who shows great promise and improvement after her treatment with tuberculosis. In addition to this the family members are drunkards and unapologetic. Mary’s father died of tuberculosis and Edmund’s contraction of the disease is an inherent expectation. Jamie and James are alcoholic, there are many reasons that can be associated with this behavior such as escapism from the challenges facing the family. Edmund sickness increases the stress levels in the family. The revelation that Mary’s father died of tuberculosis shows that the disease has been inherited. It is a case that supports naturalism. There are a series of intertwined fears as Mary speaks to Edmund advising him not to go to town in the dirty old troy due to his deteriorating health. She is depicted as naturally fearful and concerned for her son. She further fears that he has the dreaded consumption, she also fears that she is constantly watched. For this reason, the unfolding of events in the play revolve around a naturalism manner. Bloom, Harold. 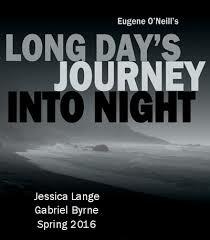 Eugene O'Neill's Long Day's Journey Into Night. New York: Chelsea House, 1987. Print.